As a student, I don't have much money and since I'm planning to do public interest law when I graduate, it's likely that I never will. I'm not going to tell you that getting fit is free because in my experience, making healthier choices does come with its own set of expenses. What I will tell you, though, is that if you are committed to starting your fitness journey, it is possible to do it on a budget. 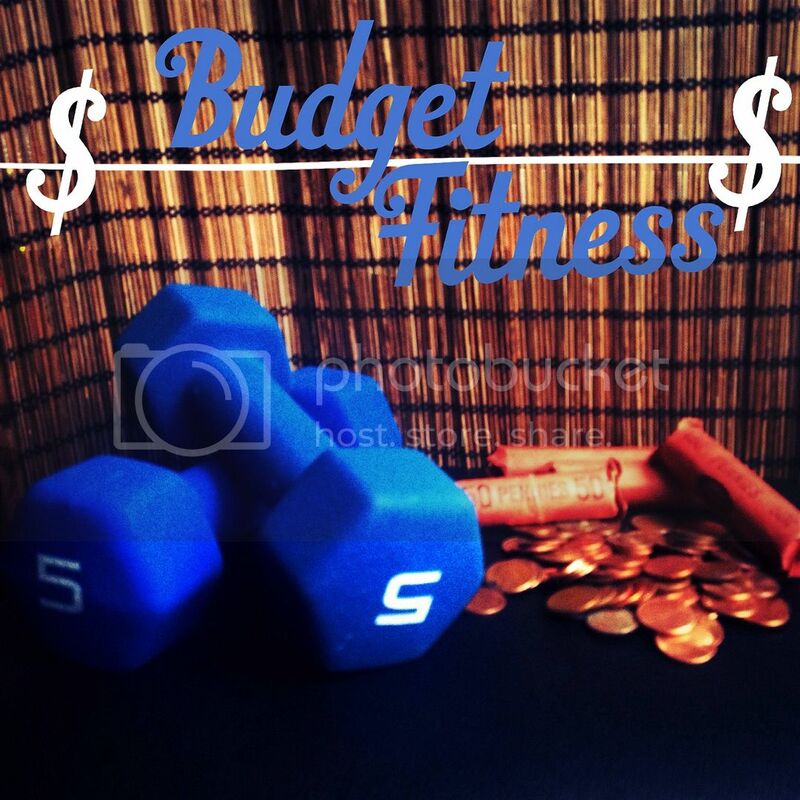 This post is the first in a series of budget fitness tips. Since the first thing you will need when you begin your fitness journey is something to wear while you workout, I'm starting there. 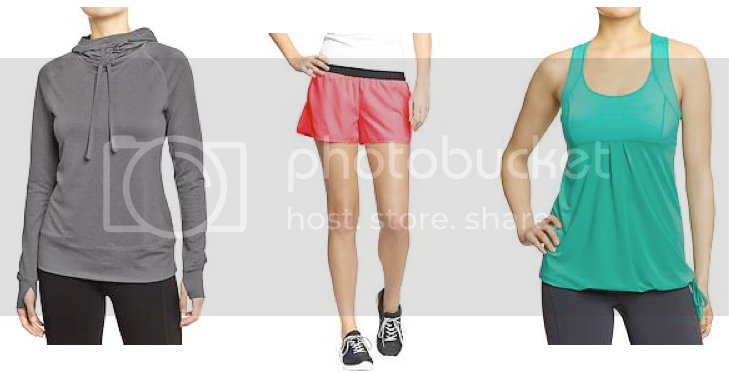 Below are a few suggestions for where to get cute workout clothes cheap. Walmart sells a line of fitness clothes called Danskin Now that I love and frequently purchase personally. I have been wearing their cropped Dri-More capris since I started running and I have bought their moisture wicking t-shirts, tank tops, and jackets for running and other workouts. It is probably not the nicest moisture-wicking fabric, but it does get the job done. I have never had problems with chafing, even during my half marathon. Plus, Walmart often has cute tops and jackets that don't immediately scream "I bought this at Walmart." Almost all of the items in the Danskin Now line are under $20 and many of them are under $10. You can usually count on Old Navy to have a wide variety of stylish active wear in fun colors and lots of different styles. They also carry plus size and maternity active wear. Most of their items will cost between $15 and $30, but they have frequent sales and you can often find coupon codes at the top of their website to enter at checkout. Every year for Christmas, one of my aunts buys me workout clothes from TJ Maxx and/or Marshalls and I am always happy with the style and quality. If you are willing to shop around, you can find some great fitness gear in these stores at very reasonable prices. Most items seem to be in the $10 to $50 range. I know a lot of people are grossed out by thrift stores, but not all of them are created equal. There are lots of clean thrift stores where you can find gently used clothing including athletic wear for under $5. The same goes for consignment stores and yard sales. I recommend shopping at second-hand stores and yard sales in the nicer parts of town because you will sometimes encounter name brand items that look like they have never even been worn. 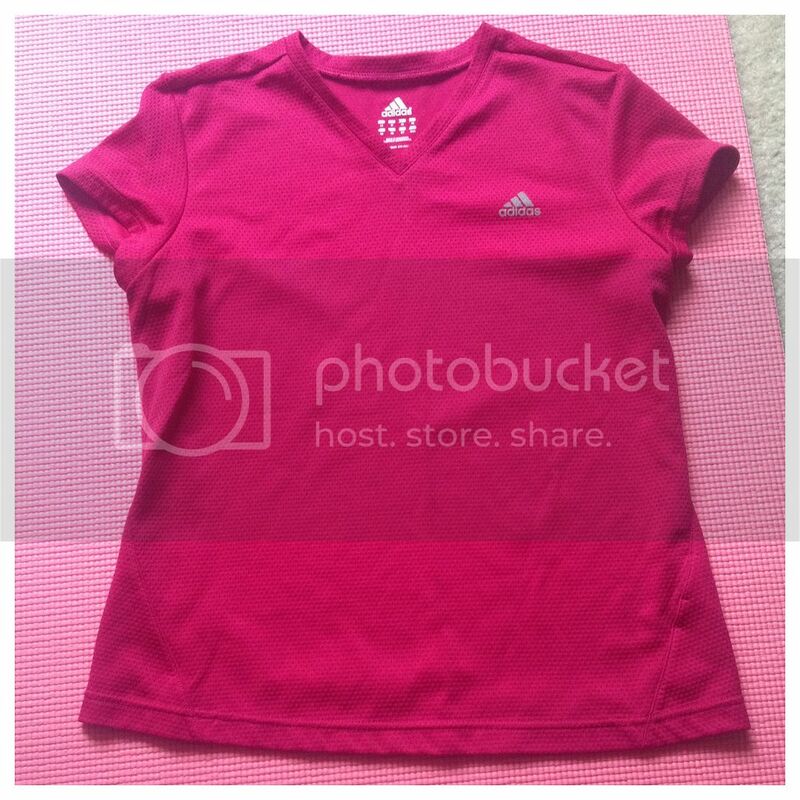 I got the Adidas top above at a Thrift Smart in town for about $2.50 and it got me through my first half marathon. Stores like Sears, JC Penny, and even your local sporting goods stores have clearance racks where you can sometimes find great workout clothes at a deep discount. In my experience, the best time to shop clearance racks is at the end of each season. Once the store is ready to put out summer clothes, they will probably put the last of the winter workout clothes on sale to get rid of it. At the end of the summer, they will put the lightweight workout clothes on sale to make room for the winter stock. You can save a lot of money by buying running clothes off season and putting them away until it is time to use them again. 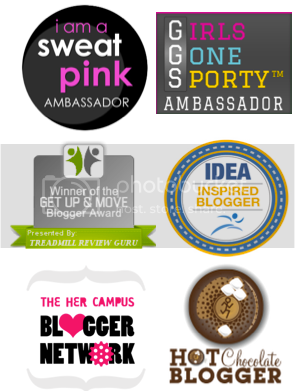 Got a friend or relative who works out and has great taste in clothes? Ask them if they have any workout gear they are planning to get rid of. A lot of long-time runners have so many race t-shirts lying around that they would thank you for taking them off their hands. There is no shame in getting something for $free 99. 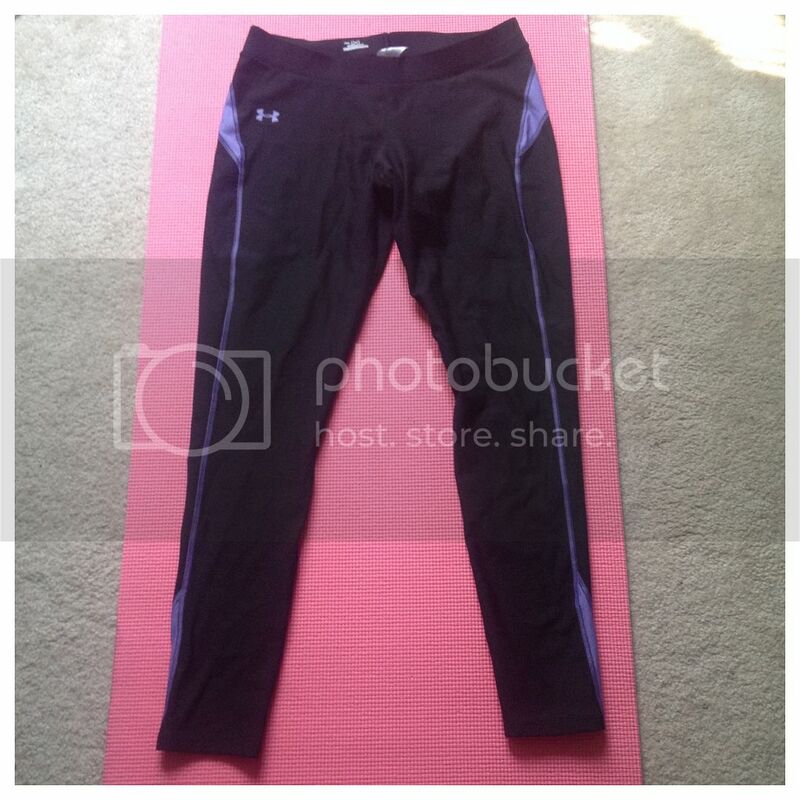 One of my aunts gave me the Under Armour tights above and I wore them until they got too big. Target has a fitness line called C9 by Champion that I really like and have worn in the past. 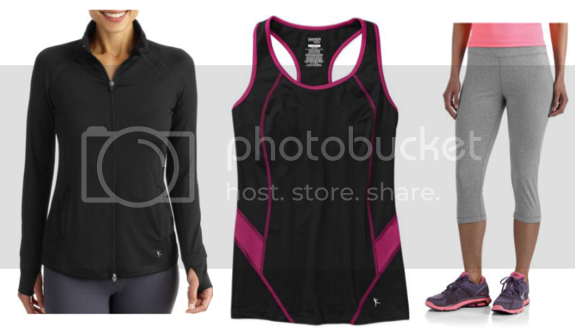 They have everything from jackets to tanks to running skirts and while they are a bit more expensive than Walmart, they are still very affordable considering how good the quality of their workout gear is. Most items cost between $10 and $40. Also, don't forget to check their clearance section. It used to break my heart that I didn't live near an H&M because on the rare occasions I've had an opportunity to shop there, I've come out with a bag of amazing finds. 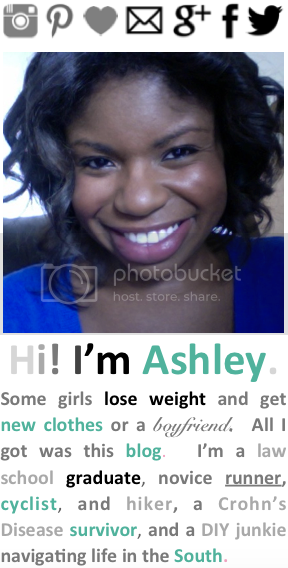 Fortunately, it appears that they now have online shopping and their offerings include some really cute workout clothes. Most things seem to be between $13 and $40 with most items hovering around $20. *I didn't get any kind of compensation from the companies mentioned here, but I thought the information might help someone out.